The creators of the Dolphin Browser have released an always-private version of their popular Android browser called Dolphin Zero. 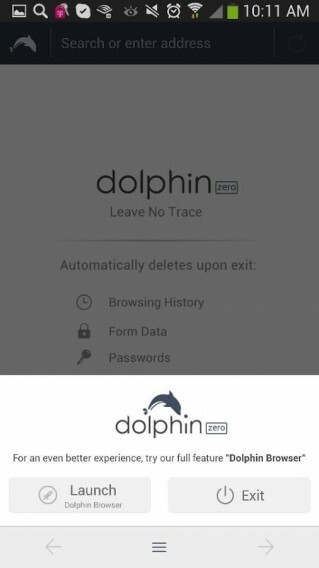 While Dolphin already has a private browsing mode, Dolphin Zero takes the thinking out of enabling private browsing by having a browser has do-not-track enabled permanently. 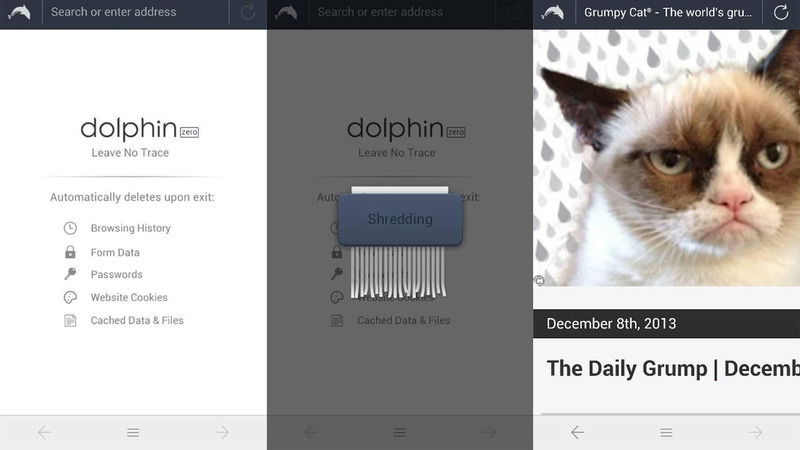 Other browsers like Chrome support private browsing, which also stops tracking, but Dolphin Zero makes it easy to shred your cached data and downloaded files when a user leaves the browser. Dolphin Zero even sets DuckDuckGo as the default search engine since it doesn’t track users like Google and Bing for targeted advertising. The app will never save any form data, history, passwords, input data, location information, or cookies. Dolphin Zero is only available for Android at the moment, though iOS users can download the standard version of Dolphin Browser. To try out Dolphin Zero yourself, hit up the download link below.